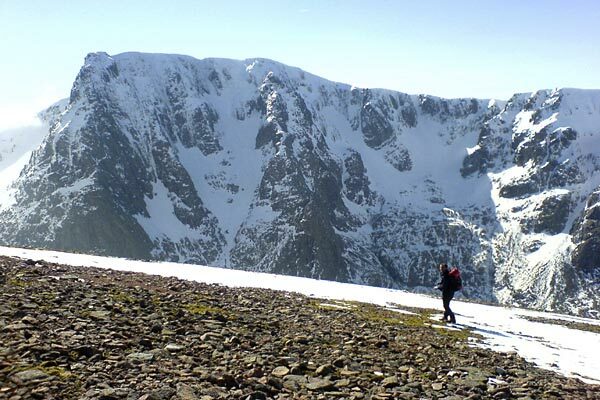 Carn Mor Dearg lies on the E arm of the horse-shoe ridge that includes Ben Nevis and it is normally climbed with "The Ben". It has steep rocky slopes, some of them craggy, on its E and W flanks. 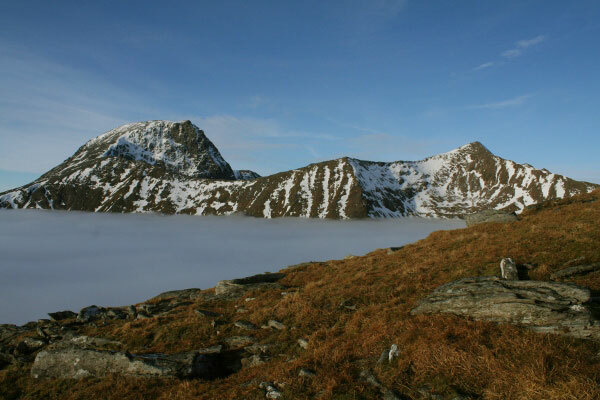 The ascent of Carn Mor Dearg is normally made from the path up Meall an t-Suidhe to the W or the path by the Allt a' Mhuillinn into Coire Eas, and joining the Carn Mor Dearg ridge N of Carn Dearg Meadhonach. If you enjoy a scramble, and have a head for heights, continue S then SW on the ridge which becomes narrow and rocky, to form the CMD arete, and ascend the E shoulder of Ben Nevis. An ascent is possible via the E ridge of Carn Mor Dearg, but not recommended. 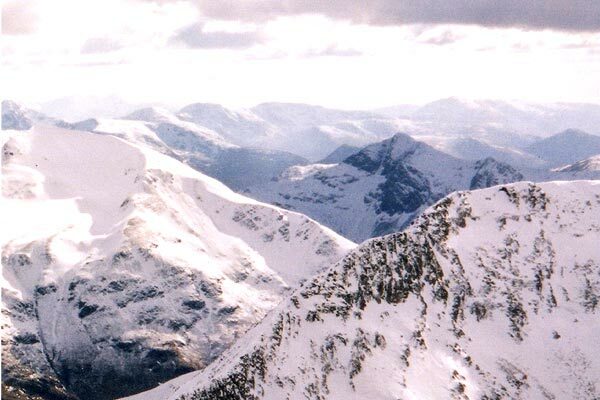 Carn Mor Dearg with Ben Nevis behind from Aonach Beag. CMD Arete from Carn Mor Dearg summit, with mamores behind. Not far to the top of Carn Mor Dearg, with the Ben in the background. Nearly at the summit, i could not resist this shot ,as well as a breather. 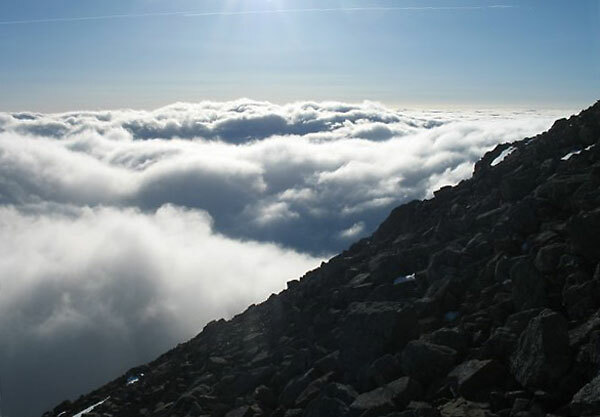 The summary information of one or more ascent routes that include Carn Mor Dearg. 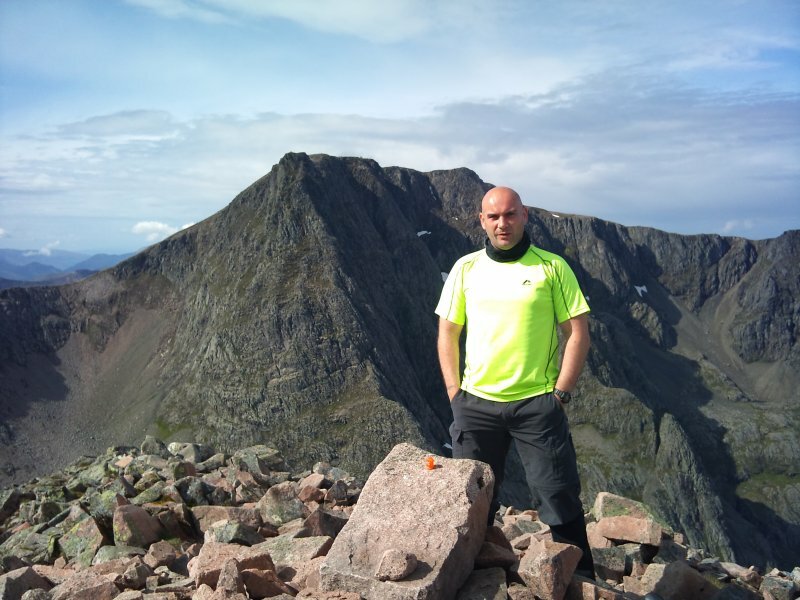 1 1778 m 16.68 km 6.5 hrs Ben Nevis and Carn Mor Dearg This is a more difficult ascent with some exposure and scrambling, but it avoids most of the crowds and gives a taste of real mountaineering. Navigate with care, this is a dangerous mountain for the unwary. Jelly McBaby on the summit cairn of CMD with Nevis behind. 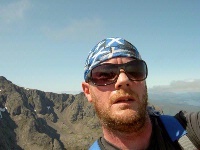 Me on top of CMD with Ben Nevis as a backdrop on 6th August 2011 (the hottest day of the shortest summer in history). 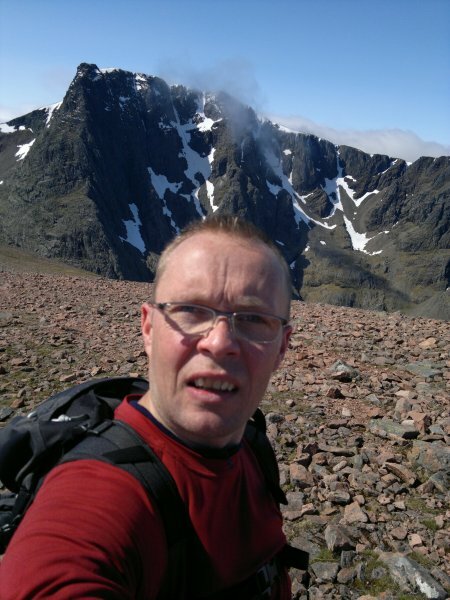 Me at the summit of Carn Mor Dearg with Ben Nevis in the background. 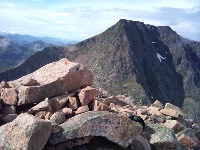 Post a few words about Carn Mor Dearg or read what others have had to say. Took the route North on to Carn Mor Dearg in clear weather for a magnificent walk.The Ben put on a magical show through the fast moving swirling clouds.Highlight was the long boulder scramble along Carn Mor Dearg Arete.The climb to the Ben from here is steep and testing but ends suddenly and the top is there as if by magic The summit of Ben Nevis was mobbed out with folk as you would expect on a Sunday.We only met 8 other folk via the North route.